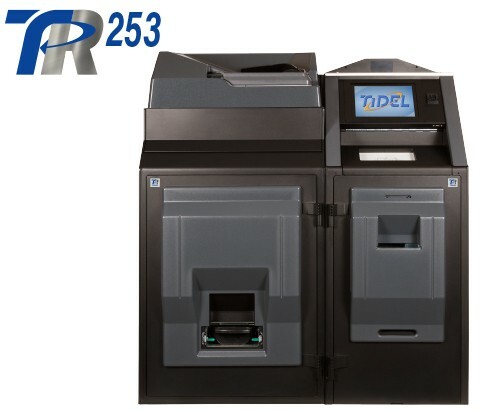 The Tidel TR250 note recycler is designed for organizations that handle large volumes of banknotes on a daily basis. With a volume capacity of over 10,000 notes at a processing speed of 8 notes per second, the TR250 offers the performance and capacity required to automate a high volume, transaction-heavy cash room environment. The TR250 note recycler enables the automated recycling and dispensing of notes in a back office cash environment. With a volume capacity of over 10,000 notes and note processing speed of 8 notes per second, the TR250 secures, automates, and accelerates the start and end of shift processes for cash-intensive businesses. The TR250 enables retail employees to spend less time counting and handling cash, and more time on their core business. 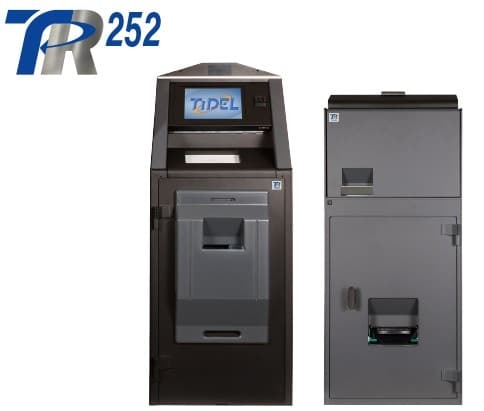 When paired with a Tidel coin recycler, the TR250 is an ideal solution for high volume back office cash automation – enabling speed, accuracy and accountability for the recycling of notes and coin, minimizing store float and the frequency of CIT pickups. The TR252 cash recycling system offers integrated note and coin recycling at high volumes and fast throughput, offering improved security, reduced cash handling, and accelerated start and end of shift processes for cash intensive retail environments. The TR253 cash recycling system offers integrated note and coin recycling at a throughput rate of 3,000 coins per minute, making it ideal for higher volume cash environments. At the heart of the TR250 is the software solution that powers it. The TR250 software suite is expansive, easy to use, and completely adaptable to any user environment. 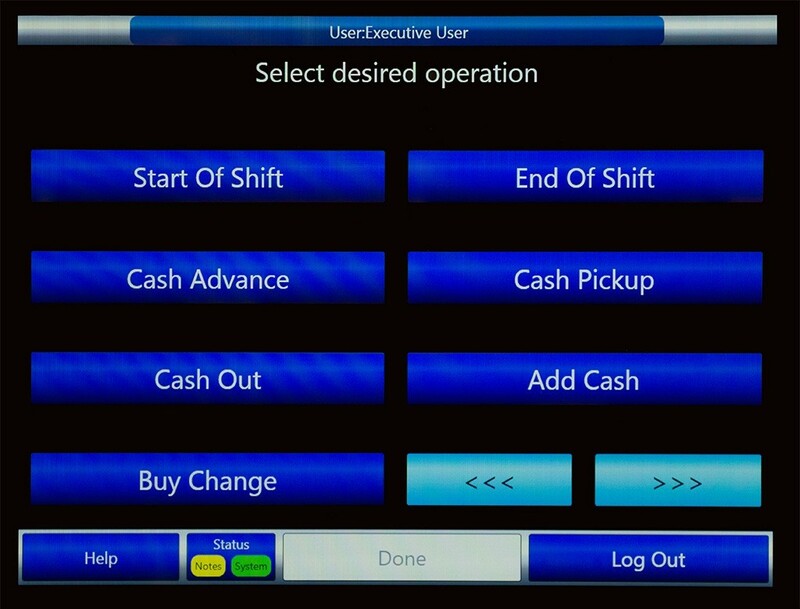 The TR250 software simplifies the process of managing users, assigning permissions, running reports, and managing cash balances. The TR250 offers a status bar that provides a dashboard-like status of all system components, allowing for proactive engagement when needed. The TR250 also enables remote access capability, so authorized parties can perform necessary maintenance, or assist with troubleshooting, if required. 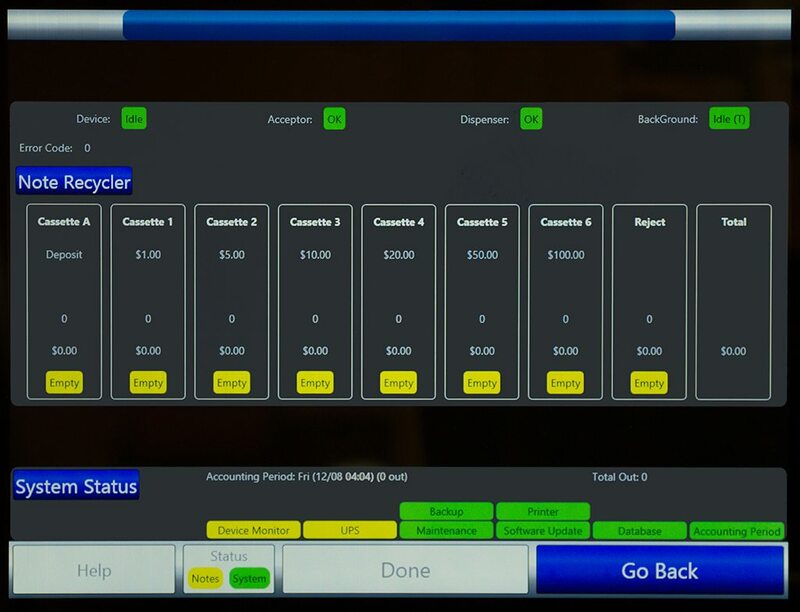 The TR250 offers the industry’s most comprehensive software package needed to manage the note and coin processing of a cash-intensive retail establishment. Interested in the TR250 Series? Contact us today.